Winter is FINALLY over. So that means that the weather is at last getting nicer and it is time for baseball season! This should be an interesting year for the hometown Pittsburgh Pirates. Lat year they almost ended their record streak of 20 losing years in a row, but struggled in the second half and ended up finishing 79-83. This offseason has seen a few changes, most notably the loss of All-Star closer Joel Hanrahan and the addition of former Yankees catcher Russell Martin and former Twins pitcher Francisco Liriano. There are some interesting questions this year that will go a long way in determining how well the Pirates do this year. How will Pedro Alvarez hit? Will he be the batter who hit 30 home runs or will he be the batter who hit .244 and had 180 strikeouts (second in the National League)? He will probably be both! Just like he was last year, but hopefully he can raise his average and cut his strikeouts a bit. The second big question is when will Gerrit Cole make it to the big leagues, and how will he do when he gets there? The number 1 overall pick of the 2011 draft had a good spring training, but will start the season with the Triple A Indianapolis Indians. It is very likely that Cole will be up with the Pirates by the summer and hopefully, he will be the first of many of the young pitching prospects that the team has drafted in the last few years. 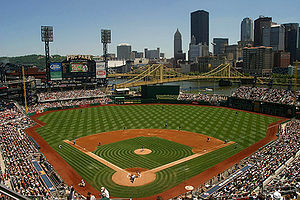 Even if the Pirates don’t break .500 this year (and I don’t think they will), you can still enjoy the beautiful PNC Park. It was just named America’s Best Ballpark by TripAdvisor.com. The team just announced some of the new features they will have this year and I am already looking forward to the new Brunch Burger, which is a patty made of beef and ground bacon topped with more bacon! 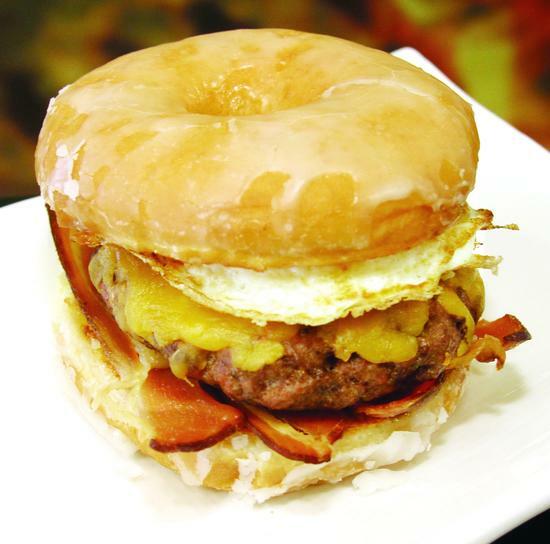 It also has cheddar cheese and a fried egg and is served on a glazed doughnut!